Truth Bomb Tuesday: Get back in your comfort zone! Busting some dangerous myths around some common advice. Here’s a danger to watch out for. We all know the saying, “Get out of your comfort zone.” Or, “Out of your comfort zone is where the magic happens,” or whatever variation it is. And as far as life-advice goes, it’s pretty good. 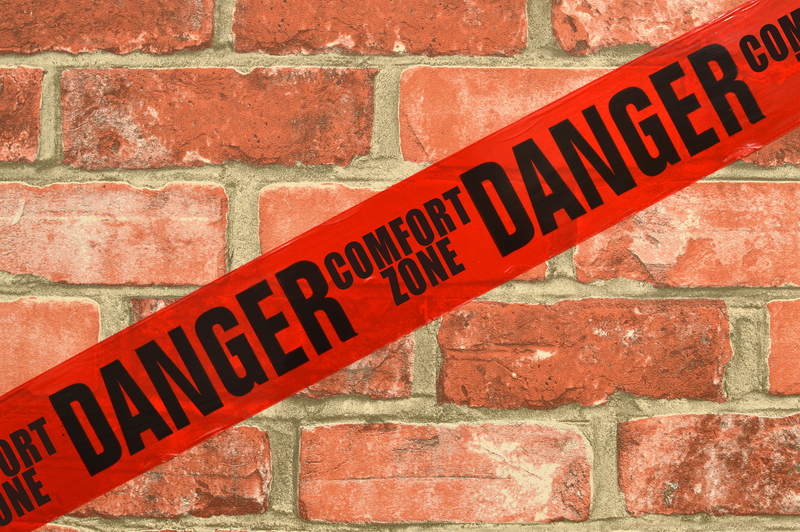 If you’re in a comfortable rut, just plodding along from one day to the next, just existing in a low-intensity version of life, then “get out of your comfort zone” might be good advice. It might be just the call you need to change up your life – to trade in your comfort for something more exciting, and hopefully, more rewarding. But there’s a big “if” there. And that ‘if’ is that you’re someone who is stuck in a comfortable rut. If you have a stable, secure, modestly paid job, which you’ve had for twenty years, in the town where you grew up, then maybe “get out of your comfort zone” is good advice. But that’s the thing about free advice on the internets – it’s always one size fits all. It has absolutely no consideration for your situation. Imagine you were someone who didn’t have a comfortable rut to puddle along in. Maybe you had lost everything in a fire. Maybe the last regular job you had was ten years ago and now you’re just scratching from one gig to the next. Maybe you’re 5 years off retirement with no where near enough to enjoy the gentle winter of your days in comfort. Get stuffed. The comfort zone speech always makes the one giving it feel good. The implication is that you’re saying that you should be brave, like me. Be a hero, like me. But it is also terrible advice in this situation. When we’re looking to launch a journey of substantial and meaningful life change, we want to be launching it from the most stable platform possible. There’s more than enough time for heroic dragon-slaying later. In the early days, we just want to bed every thing down, and bring ourselves to a place where everything is under control (or as much as it can be). It’s one of the reasons why we do a stock-take of people’s finances before we start working with them intensively. Partly it’s just about knowing where we stand, but it’s also about making sure there aren’t any fires we need to put out (credit card debts etc) – things that are going to distract us later on. And the key here is our opening mindset. If our life is on fire – with massive debts, relationship breakdowns, receding hair-lines – then we’re running scared. We’re looking for something to save us, and we’re acting out of fear. This is not a good place to be starting from. And in this situation, ‘get out of your comfort zone’ and ‘be a little braver’ is very dangerous advice. It encourages people to gamble it all on one throw of the dice. If things aren’t going well – if we’re scared and under stress – then we become more disposed to Hail-Mary long-shots. We’re looking for that one play that’s going to get us out of this mess, and we feel that we’ve got nothing to lose. As I said, this isn’t a great place to be starting from. We want to be passionate, but we don’t want to be taking crazy risks and doing silly things. That’s not going to pay-off in the long run. So rather, if that’s your situation, my advice would be, get back in your comfort zone. Put out the fires in your life, and get back to a place where you’re not being reactive and you can think clearly again. If you can’t put out the fires immediately, sit down with someone and work out a strategy for putting those fires out, and then make it happen. Do whatever it takes to get back into your comfort zone – where you feel safe and settled and calm. Then you can start dreaming crazy dreams. The comfort zone is important. It’s our launching pad. There’s not point telling people to get out of it if they’re not in it to begin with. It’s just silly. If you’re living in chaos, getting back into your comfort zone is the best and first thing you should do. What do you make of the advice, “Get out of your comfort zone”?